Closing out 2012 with its own #5, a leaping shot of Demond Jennings heading for home. Being an obvious game situation, it wasn't hard to locate Topps' source, a Getty newswire photo from July 31, 2011. 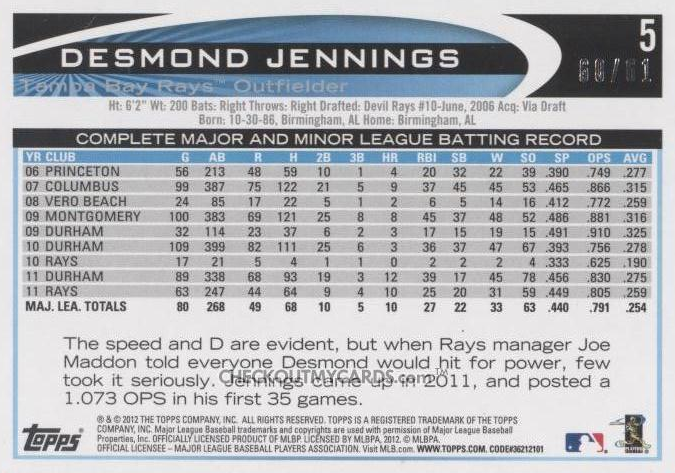 Jennings is about to score Tampa's first of 8 runs on an infield grounder by Evan Longoria (box score). 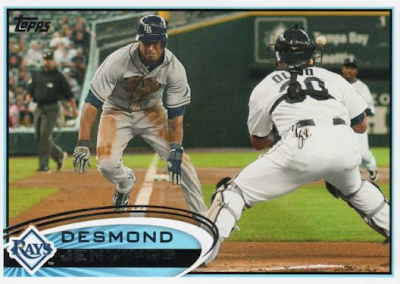 A dramatic opposite angle (also newswire) shows Desmond hitting the plate. 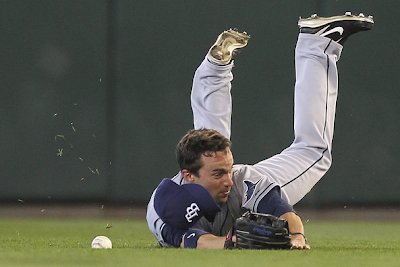 There's a whole album of shots from the game, including this grass-flying pic of the Sam Fuld Experience. 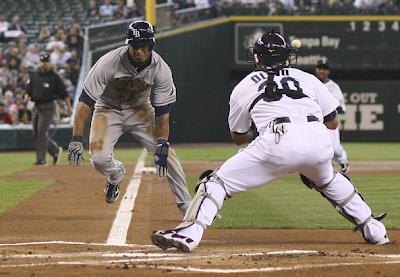 These shots reminded me how often guys dive all over the place as fielders and runners. Thank goodness for forgiving MLB outfield turf. 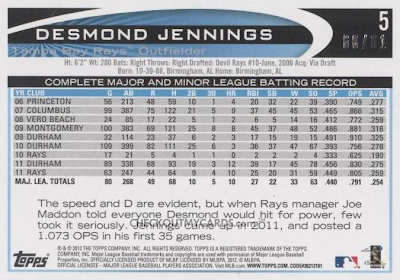 You can follow Desmond Jennings on Twitter at @d_jennings8. Happy new year, everyone. Hope you get the cards you want and want the cards you get!